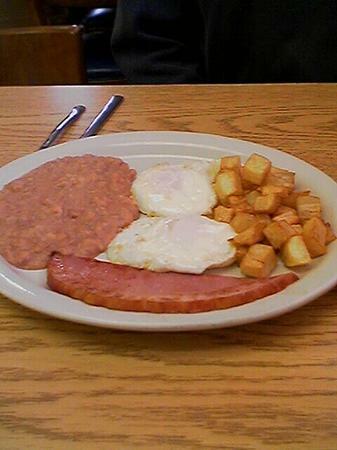 All breakfast plates are served with skillet potatoes and beans. 2 scrambled eggs with chorizo. 2 eggs with savory sausage. 2‎ eggs with crispy bacon. 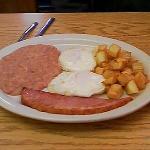 2 eggs with your choice of beef in red sauce, pork in green sauce or asado pork in red sauce. 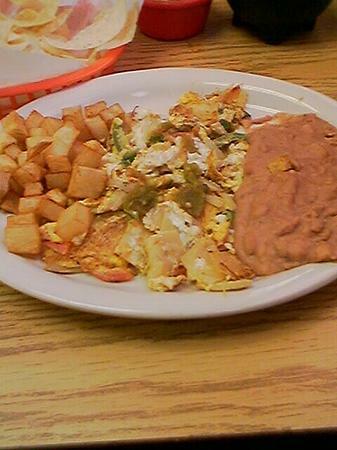 3‎ stacked tortillas topped with two eggs. With your choice of beef or cheese. 3 eggs with bacon, sausage, and ham. 2 eggs smothered with beef sauce. 1 pork chop with 2 eggs. 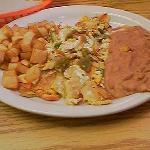 2 eggs with 2 enchiladas. All burritos are made with fresh, homemade flour tortillas. Combine rice, beans, guacamole, sour cream, or ground meat to any of your burritos! De la bonne nourriture et du service, de quoi d'autre avez-vous besoin? Les aides sont généreuses et vous pouvez faire des substitutions aux plaques combinées. Dans l'ensemble, une expérience agréable. Obtenez des réponses rapides du personnel et personnes ayant visité le La Campana.